Two MPs were claiming a second residence allowance. Daniel Andrews has vowed to fix the state's political expenses system. 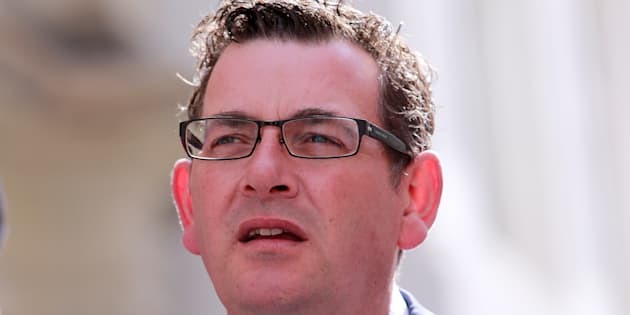 Victorian Premier Daniel Andrews has vowed to crack down on political expenses rules after a scandal that has engulfed two Labor MPs in the state. Victoria's Parliamentary Speaker Telmo Languiller has promised to repay $37,678 expenses claim for living in Queenscliff, a seaside town 80 kilometres from his electorate, and will step down as speaker and return to the backbench. Deputy Speaker and Member for Melton Don Nardella is also returning to the backbench following revelations he claimed more than $100,000 using the same allowance. Their resignations come days before an investigation by parliament's Audit Committee into their expenses and claims. Under current parliamentary rules, politicians are entitled to the "second residence" allowance if their residence is at least 80km from central Melbourne and they keep a second property in the city. Speaking on Sunday, Andrews said the MPs made the right decision in stepping down. "That in my judgement was the only course of action left to them. They've done that and it was the right thing to do," he told reporters in Melbourne. "I spoke with both gentlemen yesterday and I made it abundantly clear, I could not have been clearer ... They were left in no doubt that I had no confidence in them to continue in those roles and their positions were untenable." Andrews said he was committed to ensuring similar incidents didn't happened again. He said the special minister of state would be examining the issue of second residence allowances. "It's so disappointing. That's why I'm angry about it. I'm sure that the community is and that's why I'm going to act to make sure that it can't happen again," he added. "I've asked the special minister of state to give me advice on changing the rules so that this can never happen again."